Celebrate the holiday of love in Estes Park during Valentine&apos;s Day weekend. Stroll hand-in-hand along unique boutiques & shops on the main street of Elkhorn Ave, schedule a couples massage at one of Estes Park&apos;s relaxing spas and dine by candlelight with mountain views. Give the gift of an upcoming romantic getaway to Estes Park, where many lodging properties and spas are offering specials throughout the entire month of February and the winter season! Stay at a cozy B&B or warm-up next to the fireplace in a mountain cabin or cottage. 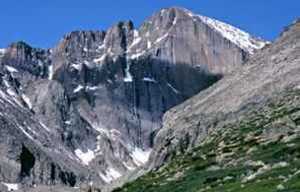 Outdoor adventure is right out your front door in Rocky Mountain National Park, where snow conditions are prime for snowshoeing, backcountry skiing or sledding at the Hidden Valley Snowplay Area. Need more inspiration? 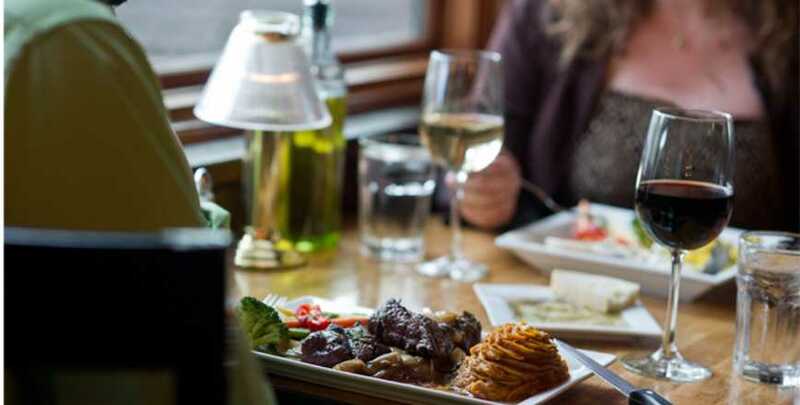 Pick a date from our list of 10 creative and romantic date ideas for Valentine&apos;s Day in Estes Park. Looking to enjoy some live music this Valentine&apos;s Day weekend? Catch Jon Pickett&apos;s Acoustic Brunch at the Rock Inn or, James Davis&apos;s classical guitar at the Twin Owls Steakhouse. Don&apos;t miss other fun events in Estes Park including the Rails in the Rockies model train exposition and the Cultural Arts Council&apos;s "Show for Valentine&apos;s Day," see all events on the Event Calendar. Looking to propose to your special someone during this lovely time of year? 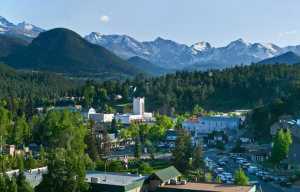 Estes Park is the perfect backdrop for your "I do" moment! Get the planning started by checking out the Estes Park Wedding Association&apos;s Top 5 Places to Propose in Estes Park.